The dream of finding the perfect vape can be a daunting task. For me, I like to stick to dessert flavors. However, I find myself at a crossroads when it comes to picking the right flavor. This is especially true when I have to decide between peanut butter and cookies and cream. Packaging: This chubby gorilla bottle starts out with a silhouette of a deer on the front. Turn the bottle to the left and you’ll see the flavor name, PG/VG ratio, bottle size, and nic strength. 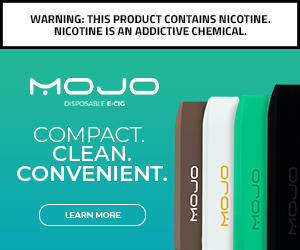 Even further to the left is “WARNING: This product contains nicotine. Nicotine is an addictive substance” at the top, warnings (and yes, Prop 65 is there), poison control number, etc. Flavor: I don’t know why but I immediately wanted to associate this with an Oreo cookie flavor. Perhaps its because of the Oreo line at DRC. Trust me, though, this isn’t it. It starts out with a creamy peanut butter that isn’t too heavy or rich. At the exhale, a slight bit of chocolate cookie takes over, creating a sweeter finish than you would expect with other peanut butter vapes. At times I did catch a slight glimpse of a flavor that reminds me of the Oreo cookie line. Full flavor? You betcha. 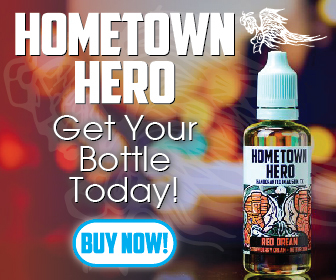 Cloud Production: This 80VG/20PG bottle destroys your coils. Peanut butter and chocolate cookie, how could I not be surprised? Is that a bad thing, though? Hell no. Cloud production on this is unreal, and easily lives up to the hype. However, don’t be surprised if you need to change your cotton out a few times throughout the bottle. Check this out at Detroit Rock Candy, and tell her “CoffeeFuel” sent you! I ❤ DRC! And I have this coming this week!! CANNOT WAIT TO TRY IT!!!! Good review! Looks so dang good! I love DRC!!! They rock!! And so do you!! Thank you for all you do! !